Using scented candles in poorly ventilated rooms can increase the risk of exposure to toxins causing asthma, eczema and skin complaints, according to research. The study, conducted by researchers from South Carolina University, revealed that cheaper varieties of scented candles release smoke with an alarming range of volatile compounds that can be hazardous to health. Travellers who carry candles with them to refresh tired hotel rooms might want to consider taking out a good medical travel insurance policy in case they suffer any ill effects. US researchers conducted an experiment by burning a range of candles in the laboratory, collected the substances given off by them and tested it. The team, led by Dr Amid Hamidi, found that candles made of paraffin wax, the most common type, released potentially harmful amounts of chemicals such as toluene and benzene. 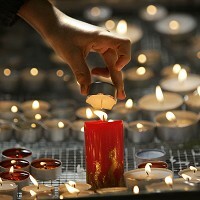 More expensive varieties of candles made of beeswax and soy are considered to be safe for use. However, most of those on sale in Britain are of cheaper variety made of paraffin wax, a byproduct of the petroleum industry.